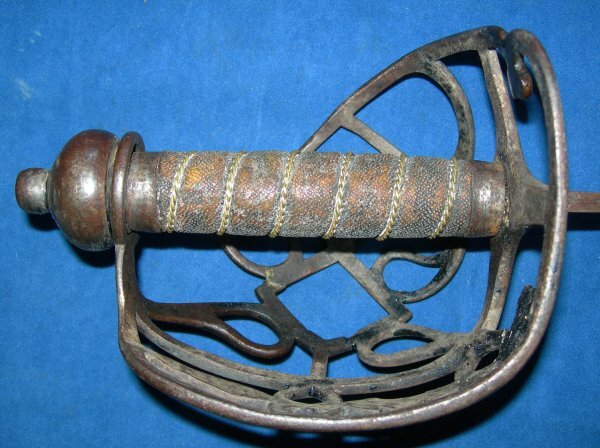 The second of two exceptionally rare circa 1760 3/4 basket hilted British infantry officer's swords we acquired, most likely from the American War of Independence (Revolutionary War), made by Samuel Harvey and in very good condition. This an exceptionally rare sword, and we bought two from the same collector. 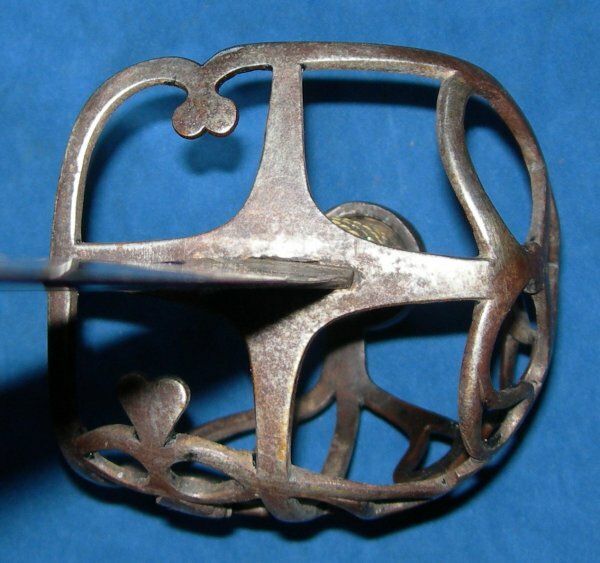 A Samuel Harvey 3/4 basket hilt, mostly found on cavalry swords of the era, but also on the rarer infantry sabre as you see here. This sword may have been used in hand to hand, sword to sword combat. The cutting edge has a few period nicks. It is possible that the sword could date back a few years, perhaps 1755 at the earliest. So it is possible any battle damage came from the French Indian War in North America, where the British actually fought alongside American forces against the French. But most likely any damage is from the US War of Independence. 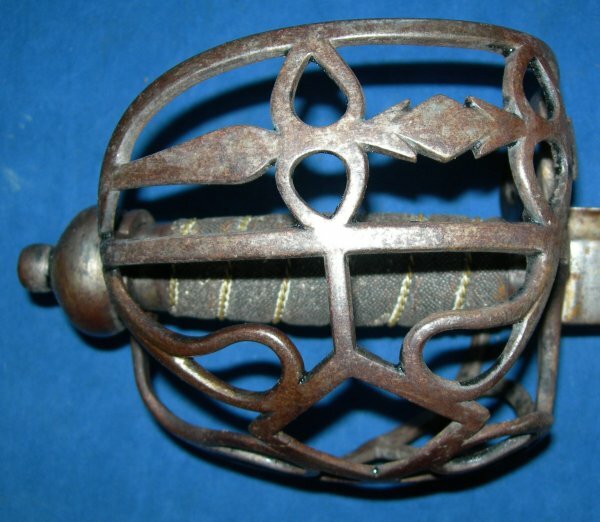 Just do a Google search for "Samuel Harvey 3/4 Basket Hilt" and you will soon see how rare and normally very expensive these swords are. The 31 inch blade is worn and what appears to be some period battle damaged (nicks), but is in very good condition overall. Firm in the hilt, the steel hilt is also in very good shape indeed. Amazingly, the fishskin grip and associated twisted grip wire bindings are not just present but also very good. The hilt does have some movement in relation to the grip and blade. 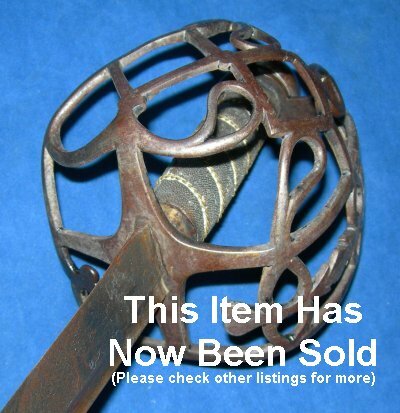 A rare and lovely sword and well above average condition, yet at a well below average price. 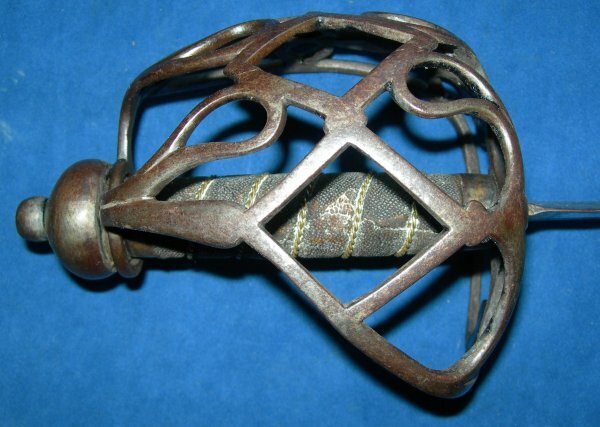 Forget the £3000 you would normally need to shell out for a Samuel Harvey 3/4 basket hilt sword in this condition, our price is only £? (too late, now sold). Please quote item reference H67 (1033). Further / full sized images available upon request.